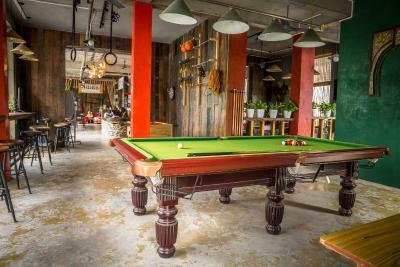 Lock in a great price for Mountain Stream Hostel Yangshuo – rated 9.4 by recent guests! 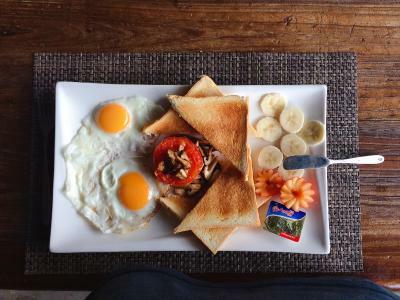 The staffs are super friendly, and the location is close to west street. They have activities with hostel people. 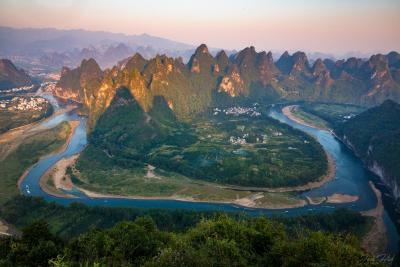 For example cycling around yangshuo. Such a comfortable room and bed, and it was so cheap compared to other options - very good value. The staff were friendly and helpful, and there is a lot of good tourist info in the hostel. 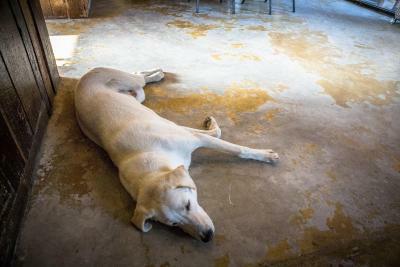 There are good common spaces downstairs to hang out and meet other travelers. 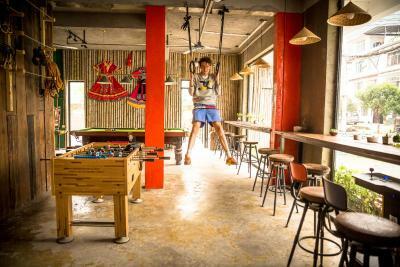 I liked all of the different activities you could book though the hostel. From rock climbing to rice terraces tours to bikes. They had it all. 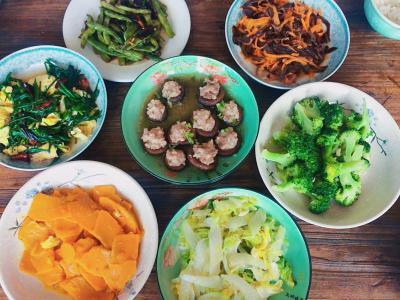 Our last night we ate a wonderful home cooked meal and learned a lot about Chinese culture. The bed was comfortable and we had a nice view from our room. The balcony on the 4th floor was just amazing with such great views of the surroundings. The bikes are quite cheap. The staff was friendly. Definitely, the best place I've stayed in China thus far. Staff are amazing and place is really comfortable. The facility was what we expected, the privacy curtains on the bed were nice, and the staff was helpful when we needed anything. We also enjoyed spending the evenings in the lobby with other travelers. 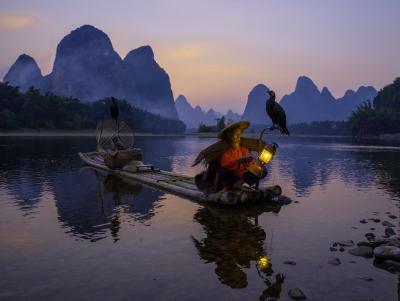 One of our best sellers in Yangshuo! 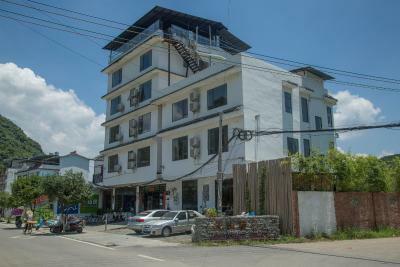 Located in Yangshuo, Mountain Stream Hostel Yangshuo is 2 mi from Yangshuo South Bus Station. 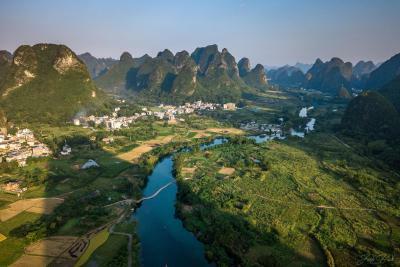 Around 0.9 mi from Yangshuo West Street, the property is also 5.6 mi away from Darongshu Scenic Area and offers free WiFi. The accommodations features a 24-hour front desk and a shared lounge for guests. Each room has air conditioning, and each bed in dormitories has a private curtain. The area is popular for cycling and hiking, in addition, free use of bicycles is available between 17:00-22:00. 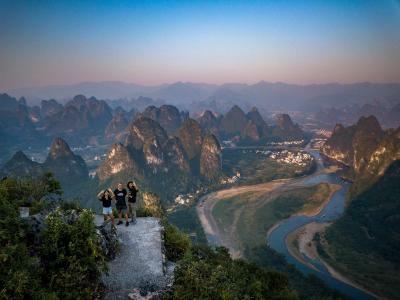 Yangshuo Park is 1.4 mi from the accommodations. 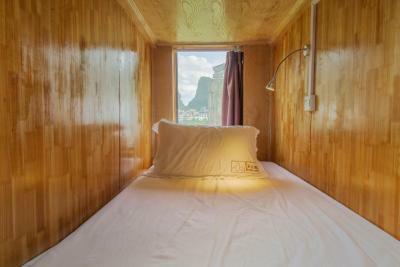 When would you like to stay at Mountain Stream Hostel Yangshuo? This suite features a view and air conditioning. This bed in dormitory has air conditioning and private curtain. This dormitory room has air conditioning and private curtain. 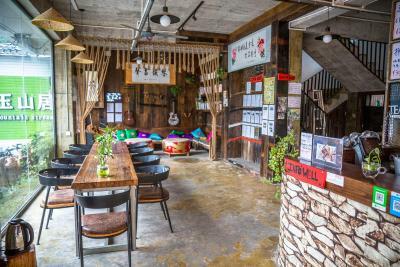 House Rules Mountain Stream Hostel Yangshuo takes special requests – add in the next step! 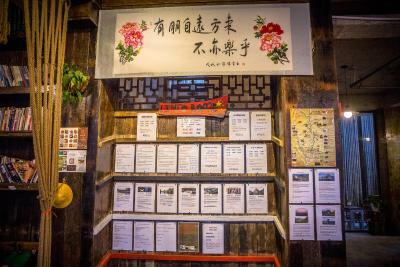 Mountain Stream Hostel Yangshuo accepts these cards and reserves the right to temporarily hold an amount prior to arrival. For guests who book for public holidays are required to pay full amount as a deposit in advance. Please kindly note that the reception is open between 08:00-22:00. Outside the hours the front desk will be taken care by non-english speaking staff. 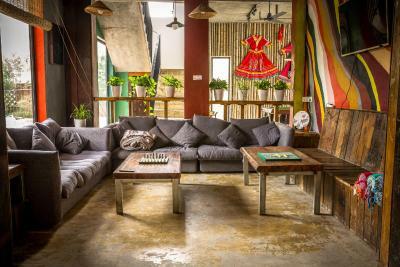 Very nice guesthouse with a cool vibe. It’s well decorated in the common areas. The owners are extremely helpful. Our kids loved that place! They played with the owner’s cute dog. I strongly recommand that guesthouse. We stayed for 6 nights and had to ask to change the bed linen in the middle of our stay - it would be better if the bathrooms were properly cleaned, and not just having garbage removed. The hostel building has been recently finished, so the facilities are still new and fresh. We have stayed in 2 double rooms with my friends: the rooms were spacious, with great mountain view from the balconies. 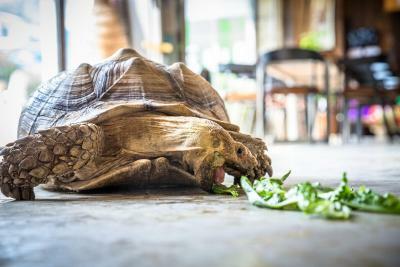 The staff is very friendly and helpful, they have pet dog, cats and turtle. Everything was great. 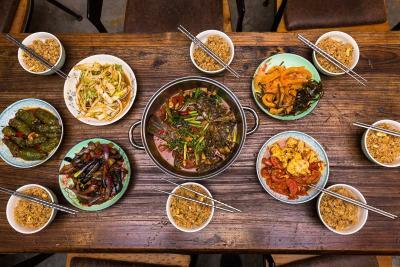 The staff were really friendly and helpful, the location was good (beautiful scenery outside, a choice of shops and restaurants on the street outside and an easy distance from Yangshuo centre/ West Street). 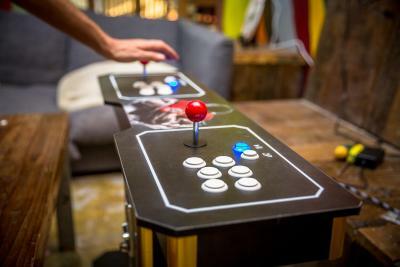 The communal areas were great, nice area to relax in and some games tables. In the room the facilities were basic but good for the price, the bed was comfortable, and the hotel felt safe and secure. Room could have done with a bit of a clean - especially the floors. Asks not to use towels on the floor due to them becoming dirty however difficult to dry feet without getting them dirty and no bath mat provided. Fabulous location - just out of town so got fabulous views from the room, however close enough to be able to easily walk into town for restaurants / bars etc. Staff very friendly and helpful - informative of where to go. Easily able to rent bicycles and mopeds. Bed large and comfy with great views. The bathroom was not very well cleaned, and the thing with frosted glass walls to the bathroom is maybe not very comfortable if you're not very close sharing the room. The room felt a bit damp, wet things didnt ever get dry. Nice room with stylish interior and comfortable beds. Staff was very helpful when we had problem with the combination of applying for abroad studies and chinese no-google-policies... Nicely situated in the outskirts of town, without being too far to walk to the city center. Great hostel with super friendly staff. The rooms are big with privacy curtains for each bed in the dorm, great food and the staff really makes you feel welcome. Easy to get to town in 15 min walk or 5 min bike ride. Would recommend everyone to stay here. The hotel had dirty floor. The hotel sell us bus ticket in over price and not supply the bus after we talk to them they not help us and just say they sorry for what happend. Not refund or something and we almost miss our train because of that and double pay for onther buses... Very bad service!!! Nice size room. They speak English its benefit there. Good restuarant near the hostel. A little far from town. (But this could be good if you like a more quiet atmosphere.) Not being able to book a taxi before 8am was a bit inconvenient. Very small bathroom, lots of water everywhere after the shower, not taking out the trash every day, also we expected the staff to be more helpful. The mountain view was the main reason to choose this place and we were satisfied with it. The room was nice. The staff could speak english. I had to walk for quite a long time to reach the hostel from the place the bus stopped - there was no city bus to hostel. As someone mentioned before they could organize pick up service to the hostel. There is a toilet and shower in the dorm room which is nice but the doors could be more shadowed or something because I felt there were a bit to transparent especially for a mix room. The staff is helpful, friendly and has a good team spirit! You can rent a bike for a good price. The bed was comfortable with a curtain. Room was quiet. Hostel has a friendly atmosphere. They offer different activities. 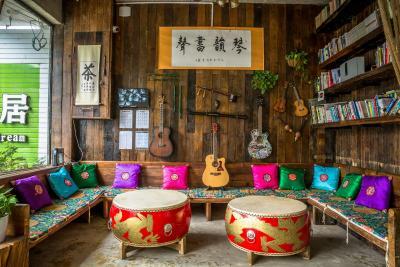 In the lobby there is area where you can sit, chill or play instruments. I booked transport from hostel to Guilin that wasn't expensive. Overall nice and good price. Friendly staff, helps you with with everything you need, from bus to the airport to recommanding bike tours. Also very clean and it has a family atmosphere. A little bit far from the center, but has great view! Amazing and kind staff, helped with everything. It was rainy and cold, so not alot of tourists but still evrerything was great- clean, super comfi beds and blankets, nice breakfast and good atmosphiere. Loved it a d ofcourse General the dog!! !